The history of Zambia is closely linked with that of its neighbor, Zimbabwe (formerly known as Rhodesia). In 1953 the British government created the Federation of Rhodesia Nyasaland consisting of Southern Rhodesia, Northern Rhodesia (modern day Zambia) and the Nyasaland (modern day Malawi). In 1959, Kenneth Kaunda founded the party of the United National Independence and unleashed a campaign of civil disobedience, the result of which caused the British to end its “Greater Rhodesia” endeavor. The Federation was dissolved and Zambia gained its independence in 1964. The history of modern big game hunting in Zambia is a short one. 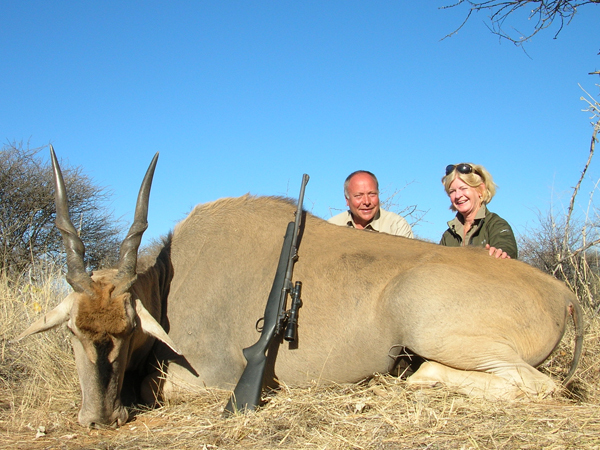 Zambia only opened for sport hunting in the 1970’s while simultaneously creating GMA’s (Game Management Areas). In 2001 the Zambian government revoked all licenses previously granted to the safari companies and all hunting stopped. The government then reversed its decision in 2003, hunting licenses were again granted and hunting resumed after a redistribution of the hunting concessions. Zambia is among those African countries without access to the sea. It is bordered to the south by Mozambique, Zimbabwe and Namibia, to the west by Angola, to the north by the Democratic Republic of Congo and Tanzania and to the east by Malawi. The vegetation of Zambia consists mostly of Miombo, a kind of glade-forest of trees of various species. In the extreme southern regions there are also some mopane (Colophospermum mopane) forests, one of the more common trees of southern Africa. The mopane wood is one of hardest and heaviest and therefore the most difficult to work with. Zambia also has large areas of grassy savannas as is found in most African countries. Zambia is essentially a high plateau with an average altitude of 3,200 to 4,200 feet (1,000 to 1,300 meters). In Zambia hunting is permitted in three different types of areas; Game Management Areas, private hunting areas and conservancies. The sum of these areas covers over 6.5 million acres. Most of the hunting areas, the majority of which are GMA (Game Management Areas), are located in the Luangwa valley or in the Kafue plateau region. The others are spread out over the plains of the Kafue, in the region of Bangweueu Lake and western Zambia. All of these territories are non fenced and open. Elephant hunting in Zambia is allowed. Lions and Leopards are hunted with bait and can be found in almost all areas. As in Zimbabwe, Leopards in Zambia are known for their large size. There are also large herds of Buffalo in Zambia, some over a thousand head. One typically finds these larger concentrations in the Luangwa valley, but Buffalo are present nearly everywhere in this country. Zambia is home to a large variety of antelope, including several species endemic to Zambia such as the Black Lechwe and the Kafue Lechwe. Likewise, the Cookson’s Wildebeest is found only in the Lungwa valley. In addition to these rare species, Zambia boasts a healthy population of Sable Antelope with many possibilities for great trophies. 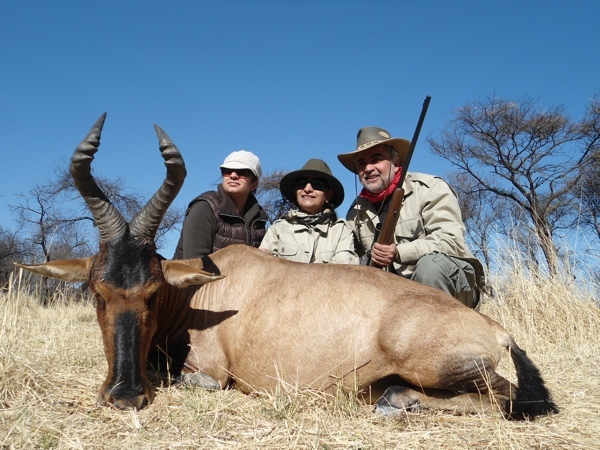 In Zambia one can also hunt the Livingstone’s Eland, Lichtenstein’s Hartebeest, Greater Kudu, Bohor Reedbuck, Sitatunga, Tsessebe, Common Waterbuck, Defassa Waterbuck, Blue Wildebeest, Chobe Bushbuck, Impala, Klipspringer, Puku, Oribi, Sharpe’s Grysbok, Warthog, Bushpig, Common Duiker, Hippos and Crocodiles are abundant in most of the rivers and can also be hunted. In Zambia hunting is done on foot and as the hunting areas are not very rugged, the actual hunting is not especially rigorous. 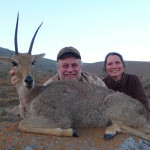 The professional hunters are most often Zambian, white or black, but there are also South African and Zimbabwean PH’s and occasionally European ones as well. The hunting camps in Zambia are usually tent camps. They are large and comfortable and some camps are even quite luxurious. All normally include electricity and some even offer modern communication such as satellite phone. 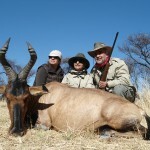 In some private hunting areas the accommodations are permanent lodges and/or bungalows. Travel to the hunting areas is via Lusaka, the capital of Zambia, by car, but more often by chartered plane since many hunting territories have their own landing strip. 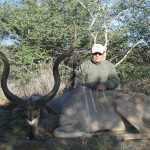 The best time for hunting in Zambia extends from June to November. We look forward to helping make your Zambia hunting adventure the best it can be! We represent the finest bird hunting outfitters in Africa, please contact us for complete information on our Africa bird hunts. We look forward to helping make your Africa bird hunting adventure the best it can be! 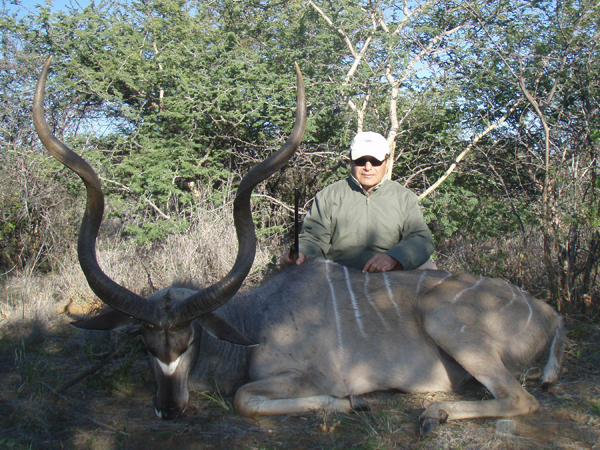 Click here to visit our Africa Hunting Photos page.